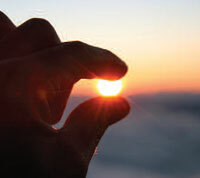 Vitamin D (vitamin D3) is created in the skin when exposed to ultraviolet B radiation in sunlight. In the UK, between May and September, about 20 to 30 minutes a day spent outdoors in direct sunshine in the middle of the day will meet vitamin D needs for most fair skinned people1. Factors such as darker skin, the use of sunscreen, levels of pollution and the unpredictability of the British summer can all lower availability and between October and April, the level of ultraviolet is too low for vitamin D to be made2. There are dietary sources of vitamin D3 from fish and dairy products and vitamin D2 from plant sources, but at much lower levels than from sunlight. As a result, levels of vitamin D in the UK are generally low. The Department of Health reports that a quarter of the population have no more than a third of what is considered an adequate level3. Does vitamin D affect the risk of getting MS? A number of studies have demonstrated an association between vitamin D levels and the risk of developing MS.
A review of blood samples taken from US military personnel showed that those with lower vitamin D levels had a higher risk of subsequently developing MS4. Another study of nurses found those who had later developed MS had lower levels of vitamin D from diet or supplements5. Exposure to vitamin D before birth has also been studied. A review of previous pooled information about the birth month of more than 150,000 people with MS. Instead of an even pattern across the year, they found a spike in people born in April (about 5% more than would have been expected) and a similar dip in October and November (about 5-8% less than expected)6. This mirrors research in Australia where, with the reversed seasons, November was the higher risk month and April the lower7. From this the researchers infer that the mother's exposure to vitamin D from sunlight during pregnancy is a factor on their child's risk of developing MS. Published at the same time, Swedish research of blood sample collected from 1975 found that women with vitamin D levels of 75 nmol/l had a 61% reduced risk of developing MS compared to those with lower levels. In contrast to the previous review, amongst children of these women, the mother's level of vitamin D seemed to have no association with whether their child subsequently developed MS. However, despite looking at records from more than190,000 women, there were only 37 children who developed MS, so the numbers are too low to allow meaningful conclusions to be drawn8. Vitamin D is not the only factor in the jigsaw that goes together to cause someone to develop MS, but it does seem to be one of the pieces. What is known of vitamin D in people who have MS? Whilst research has suggested a possible association between vitamin D levels and the risk of developing MS, what of vitamin D in people who already have MS? A Dutch study of samples from 267 people with MS found that higher levels of vitamin D were associated with a lower relapse rate. People with progressive forms of MS had lower levels than those with relapsing remitting MS9. This pattern was reflected in an Australian study that found that people with higher disability scores were more likely to have lower levels of vitamin D10. Another Dutch study found those with lower levels of vitamin D had a greater risk of experiencing a relapse11. Although there seems to be an association between more active MS and low vitamin D levels, the nature of this association is difficult to determine. Are vitamin D levels a cause of MS activity or a result of it? Research in other conditions has shown that inflammation significantly reduces levels of vitamin D12. More research is needed in MS to see if the inflammation that drives relapses is also affecting vitamin levels in the blood. Vitamin D as a treatment in MS? Several larger trials have looked at vitamin D3 supplementation combined with treatment with beta interferon. A Finnish study found that those taking supplements showed fewer new areas of scarring on MRI scans, although there was no difference in the relapse rate between the supplement group and those taking a placebo14. Two larger studies, SOLAR and CHOLINE, involving about 250 people each, are still ongoing. These are testing whether vitamin D supplementation will reduce the number of relapses someone experiences15-16. The recommended daily intake in the UK (400IU) is based on reducing the risk of rickets and is widely considered to be too low. In August 2012, the European Food Safety Authority increased the Tolerable Upper Intake Levels (the levels that can be taken daily without causing harm) to 4000IU17. Some authors feel this is also too low - for instance, the authors of the birth month data suggest 5000IU per day for adults and 10,000IU for pregnant women18. NICE has begun to consider the implementation of existing guidance on vitamin D, a review that will look at its role in general rather than specifically in MS. A consultation on the draft version of this is expected towards the end of the year19. 1. Institute of Medicine, Food and Nutrition Board. Washington, DC: National Academy Press, 2010. 2. Cancer Research UK, et al. Joint position statement issued to provide vitamin D clarity. London: Cancer Research UK; 2010. 3. Davies SC, et al. Vitamin D - advice on supplements for at risk groups. 4. Munger KL, et al. 5. Munger KL, et al. Vitamin D intake and incidence of multiple sclerosis. 6. Dobson R, et al. The month of birth effect in multiple sclerosis: systematic review, meta-analysis and effect of latitude. 7. Staples J, et al. 8. Salzer J, et al. Vitamin D as a protective factor in multiple sclerosis. 9. Smolders J et al. Association of vitamin D metabolite levels with relapse rate and disability in multiple sclerosis. 10. Van der Mei IA et al. Vitamin D levels in people with multiple sclerosis and community controls in Tasmania, Australia. 11. Runia TF, et al. Prevention and treatment of MS: studying the effects of vitamin D.
14. Soilu-Hänninen M, et al. A randomised, double blind, placebo controlled trial with vitamin D3 as an add on treatment to interferon ß-1b in patients with multiple sclerosis. Journal of Neurology Neurosurgery and Psychiatry 2012;83(5):565-571. Scientific opinion on the tolerable upper intake level of vitamin D.
Are you pregnant or planning to fall pregnant? Multiple Sclerosis Research blog - 15 Nov 2012.